We are renowned organization enraged in manufacturing and exporting a wide array of Film Resistors that are widely used in several industrial applications. 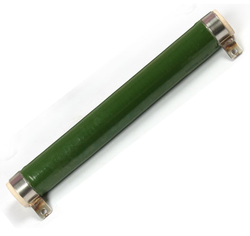 These film resistors are manufactured using premium quality raw material procured from reliable and trusted vendor-base. Our dexterous team of professionals makes us of advance technology and modern tools to fabricate these products in strict compliance wit international norms and standards. These film resistors are highly reliable as these are well tested at our end ensuring qualitative product to our valued customers. We deal in a wide variety of Metal Glaze Thick Film Resistors that is manufactured using fully automated processes. These are comparatively small, electrical & mechanical stability, high reliability these are low noise with high resistance value. The company also specializes in providing Polymer Thick-Film Resistors in varied specifications. We have in store for our clients, a high performing range of Thick Film Hybrid Resistors. the latest technology. We also offer special types of resistors such as flame proof as per the request of our clients. We are renowned as one of the prominent Metal Glaze Thick Film Resistors Manufacturers in India. Keeping pace with the diverse requirements of our clients, we are offering Metal Oxide Resistors. That are fabricated using tin plated copper wires for excellent solder-ability. 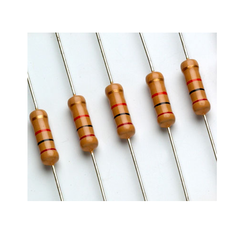 We also provide these resistors in non conductive types. All the offered resistors are developed in strict compliance with international norms and standards. Work ability A solder bath is maintained at 23° C. The specimen leads are immersed in the bath & Max Solder ability A 3 sees. A suitable flux is used during the test. Afresh solder shall cover the specimen leads by Min. 95% coverage. Resistance to Solvents The specimen shall be subjected to 1 PA for a duration of 1 min. 0 strokes Max Resistance Solvents . The test shall be conducted 3 times. The colour code marking shall remain legible. Our organization is offering a broad array of Carbon Film Resistors that are fabricated with authentic tin plated copper wires procured from certified vendors. 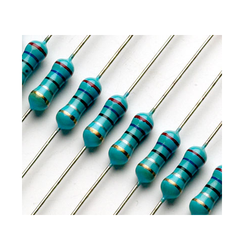 These resistors are manufactured in strict compliance with international norms and standards. Custom-made resistors are also available to meet the distinct requirement of our valued customers. Resistance Resistors Resistors are tested with standard specified voltages for its Ohmic values to check the specified tolerance. The Resistors shall be within specified tolerance limits. Solder ability A solder bath is maintained at 23°C. The specimen leads are immersed in Max An ability 3 secs. A suitable flux is used during the test. A fresh solder shall cover the specimen leads by Min. 95% coverage. We have gain expertise in delivering a qualitative range of Metal Film Fusible Resistors that are used in normal operating conditions and work as a fuse when current overflows. 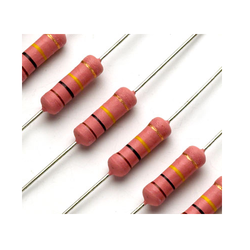 Comprising high thermal conductivity, these resistors are fabricated as per the international standards. Resistance Resistors tors are tested with standard specified voltages for its Ohmic values to check the specified tolerance. The Resistors shall be within specified tolerance limits. Ity A solder bath is maintained at 23° C. The specimen leads are immersed in the bath & withdrawn within 3 sees. A suitable flux is used during the test. Afresh solder shall cover the specimen leads by Min. 95% coverage. Our organization is dedicatedly engaged in manufacturing, supplying and exporting Metal Film Resistors that are manufactured using authentic tin plated copper wire procured from reliable vendor-base. These resistors are developed by a team of dexterous team of professionals making proper use of advance technology and modern tools. These resistors are manufactured in strict adherence with set industrial norms and standards. Resistors are tested with standard specified voltages for its Ohmic values to check the specified tolerance. The Resistors shall be within specified tolerance limits. The Resistors value shall be checked at 2 temperatures i.e. one at & the final at ambien°C + 100°C. Solderability A solder bath is maintained at 230° Ct 230° C. The specimen leads are immersed in the bath & withdrawn within 3 sec. A suitable flux is used during the test. Afresh solder shall cover the specimen leads by Min. 95% coverage. Solvents The specimen shall be subjected to 1 PA for duration of 1 min. 0 strokes of hard brush shall be applied. The test shall be conducted 3 times. The color code marking shall remain legible. We are a reputed organization engaged in Manufacturing and exporting a wide array of Metal Glaze Resistors that are widely used for various industrial applications. 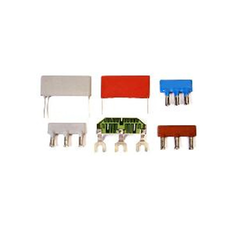 These resistors are manufactured in strict compliance with international standards and norms. Moreover, custom-made resistors are also available. Our dexterous team of experts enabled us to present a qualitative array of Thick Film High Voltage Resistors that are widely used in various industrial applications. These resistors are fabricated with a good quality raw material in strict compliance with international norms and standards. 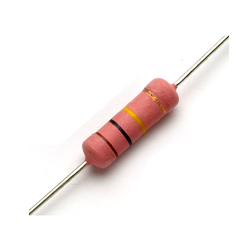 Customers can avail these resistors from us as per their specifications. DC Resistance Resistors are tested with standard specified voltages for its Ohmic values to check the specified tolerance. The Resistors shall be within specified tolerance limits. Solder ability A solder bath is maintained at 230° Ct -230° C. The specimen leads are immersed in the bath & withdrawn within 3 sec. A suitable flux is used during the test. Afresh solder shall cover the specimen leads by Min. 95% coverage. We are stalwarts in manufacturing, supplying and exporting a gamut of Thick Film Metal Oxide Resistors that are available in non conductive and non-lacquered type. We manufacture them using quality-approved raw material in strict compliance with international norms and standards. We are offering Tubular Thick Film Resistors that is made to overcome the conventional high voltage resistors. These resistors are spreading their market very fast owing to their qualitative features such as high stability and climate protections. 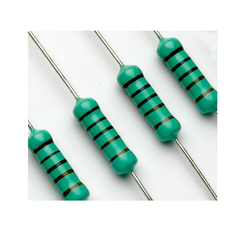 These qualitative resistors are manufactured in strict adherence with industry laid standards. In addition, custom-made resistors are also available. Looking for Film Resistors ?